I’ve just been in the mood for Tuscany lately, what can I say. I was there just two short weeks ago having dinner with friends I have known for 20 years. I miss those carefree Tuscan days and my friends but lucky I can get good Tuscan fair right here in New York thanks to Iacopo Falai who made his name as a pasty chef in New York and is certainly remaking himself into a serial entrepreneur in the food industry. 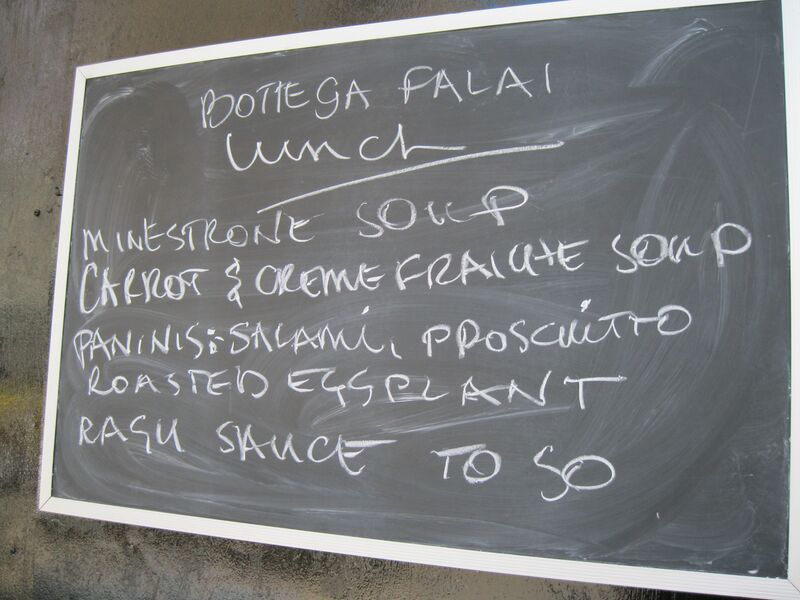 His latest venture, Bottega Falai, is doing just as well as all of his other locations. The Bottega operates from 7 A.M. – 10 P.M. and sells a number of items to take out. There are a few tables to sit and have a coffee and a pastry but the main thrust of the place is that of a caffe. In the Bottega, one can buy all the fresh ingredients used to make delicious dinners at the restaurant next-door, Caffe Falai. The location on Lafayette was just recently expanded. Of course, using the same ingredients doesn’t guarantee that you food will be as good as Falai’s but one can always hope. One can find prestigious Italian olive oils, teas, pastas, mineral waters, seasoning, and some prepared foods as well as a host of breads and pastry made daily. To read more about the bottega, check out my article on Alta Cucina Society’s website. Italian Indigenous Varieties: Bonarda Who Are You?